My daughter is seven. I often worry that there will be a moment when she tells me she's too OLD to play with dolls. The Christmas list this year was filled with things that were way too old for her - an iPod Touch, a Kindle Fire HD, you name it. Nice try, kiddo, but Santa checks with moms first! 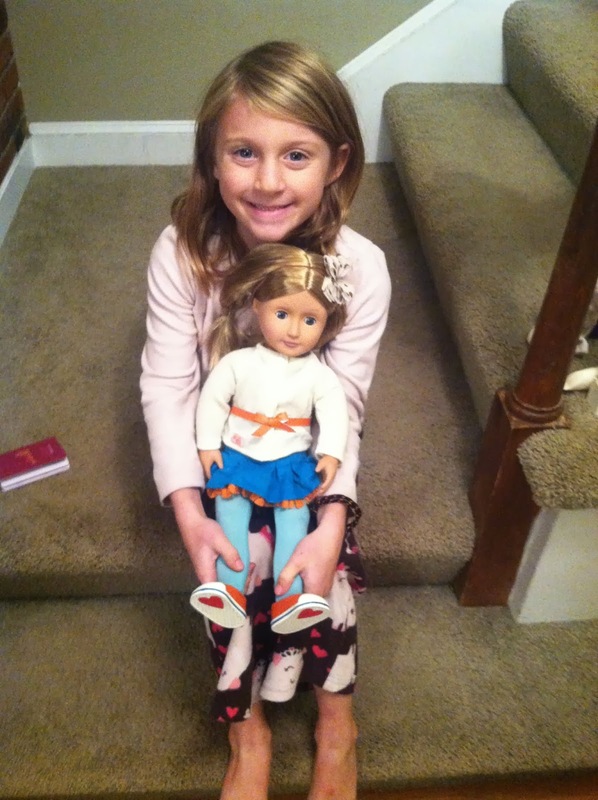 Gratefully, despite all the age inappropriate stuff around her, Sydney's love of dolls and pretend play is the real deal. 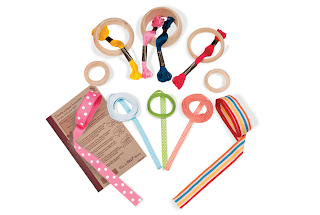 The kids get very limited exposure to tv and electronics around here, so we are big on encouraging toys that enhance imagination, creativity, patience and independent and cooperative play. Enter Our Generation. 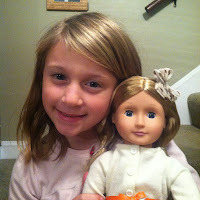 We were lucky to have the opportunity to review one of the dolls from the OG family and get one of their very latest activities for girls and their dolls. Here's Sydney and her new pal Sadie! 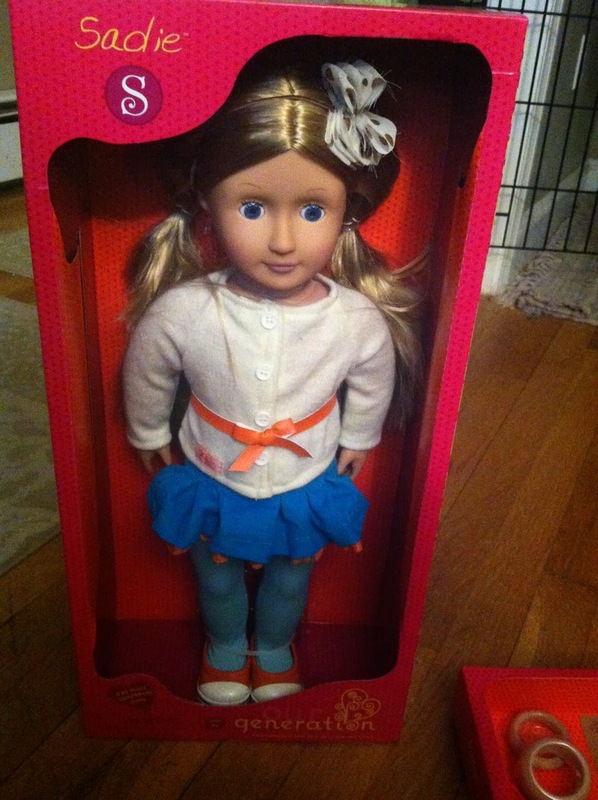 Sadie is 18" tall and fits right in with all of Syd's other dolls. She even looks like Syd! But, don't worry if you don't have a blue eyed blonde at home. 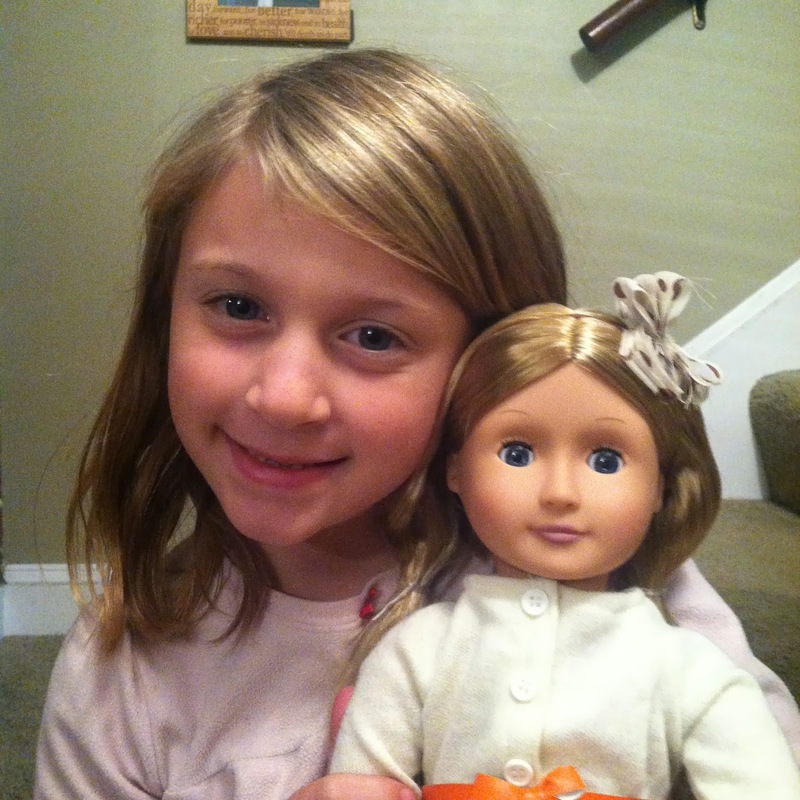 Our Generation has 50 different dolls to choose from! It shouldn't be hard to find the right doll for your family. And here is the Me & You Jewellery Set! 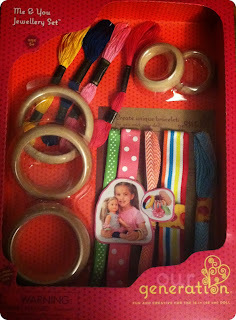 For crafty girls, this is a dream come true - it's something for her AND something for her favorite little friend. And, if she has human friends over, there's more than enough for a play date to enjoy. You can find information on all the dolls on the OG website, and purchase these items at Target.com and at your local Target. What's even better? For every Our Generation doll, outfit or accessory you buy, 10¢ goes to Free The Children's Power of a Girl Initiative to help provide girls in developing countries an education––the most powerful tool in the world for escaping poverty. So you can teach the little lady in your life all about giving back, helping others and the power and importance of education. 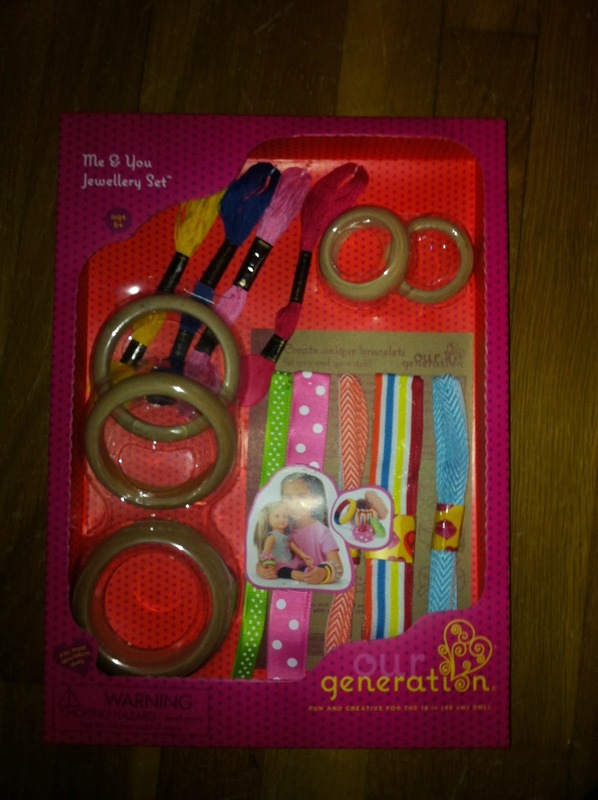 With Christmas just a few days away, don't overlook the beauty of an Our Generation doll, or even a Me & You Jewellery set. Your special girl will make memories that will last long after the holiday is over and the batteries in that electronic gizmo have died. 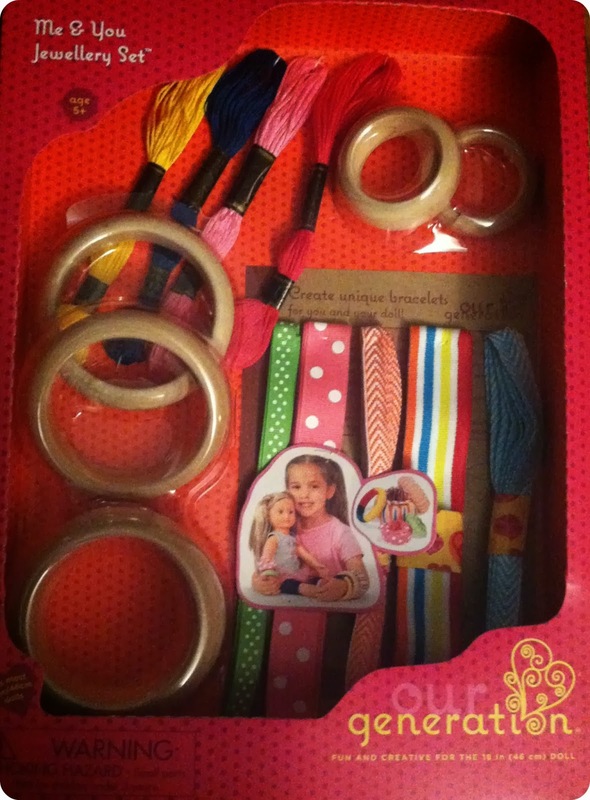 Sydney and I received an Our Generation doll and Me & You Jewellery Set in exchange for sharing our thoughts. Our opinions are always our own. With regard to all sponsored posts, reviews, promotions and contests, I only seek and accept opportunities to promote products that we would buy and use.